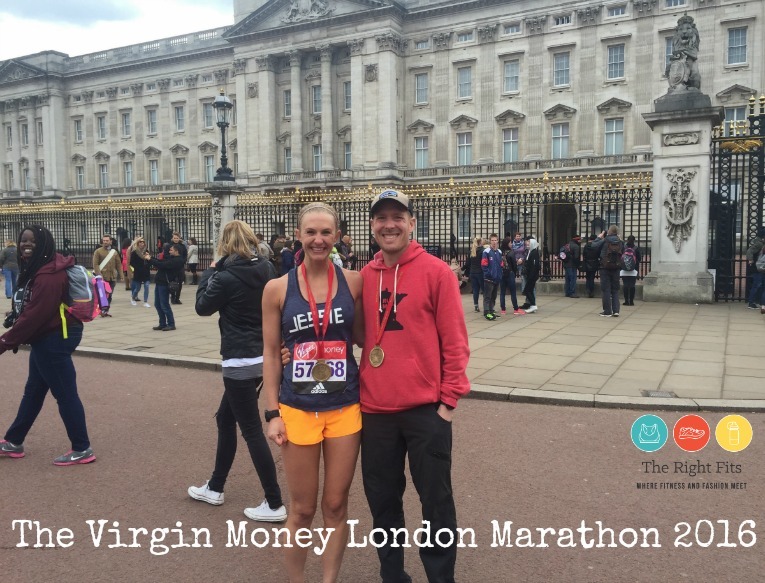 Marathon #22 complete, the Virgin Money London Marathon 2016! 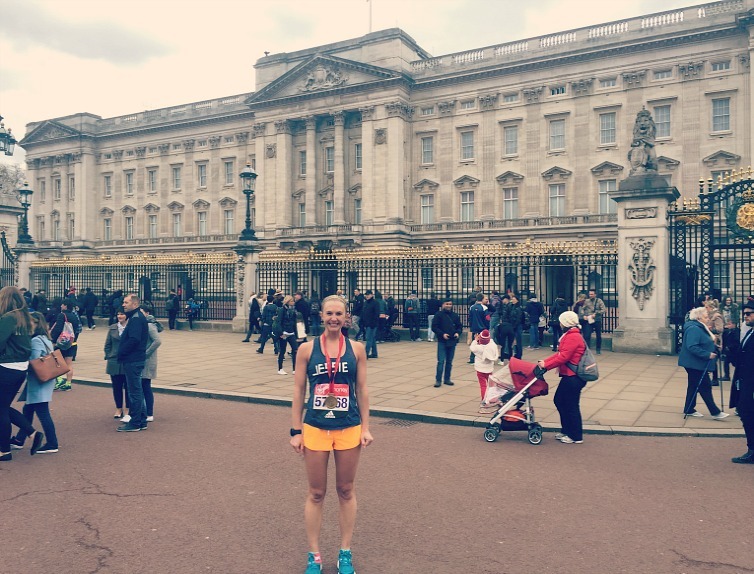 On Sunday, April 24, I ran the London Marathon. It was brilliant. Smashing. Grand. Loads of fun! If you missed it, I shared some pictures and data from the expo in this post. Today, I’ll recap the actual race. Our hotel provided breakfast for all the runners starting at 5:30 am. Since we didn’t need to leave for the start until 8 am, we got up around 5:45, threw on some sweats and shuffled down to the breakfast. We knew from the previous day that there was toast, but you had to order it a la carte, separate from the rest of the breakfast buffet. We brought our own peanut butter- just can’t find it here! So I had a little bit of fruit, some coffee, plenty of water, and a piece of toast with PB/honey. About 1 hour before the race started, I had a serving of Gen-U-Can. However, due to the late start, I was actually pretty hungry at that point, so I had a GU as well before the race. Counting that GU, I actually had five GU’s total throughout the race, in addition to the Gen-U-Can. It didn’t hurt my stomach though, so I figured it was okay to over-fuel a little bit. On the course, there were water stops seriously almost every mile. Instead of Gatorade, they served Lucozade which wasn’t too bad. Pretty sweet. 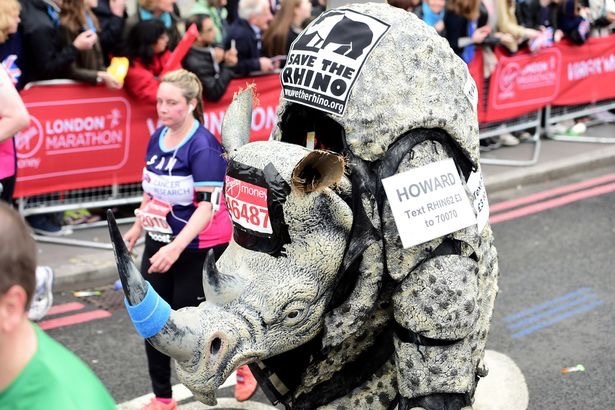 A unique thing about the water stops at the London Marathon is that they handed out actual water bottles, rather than cups of fluids. 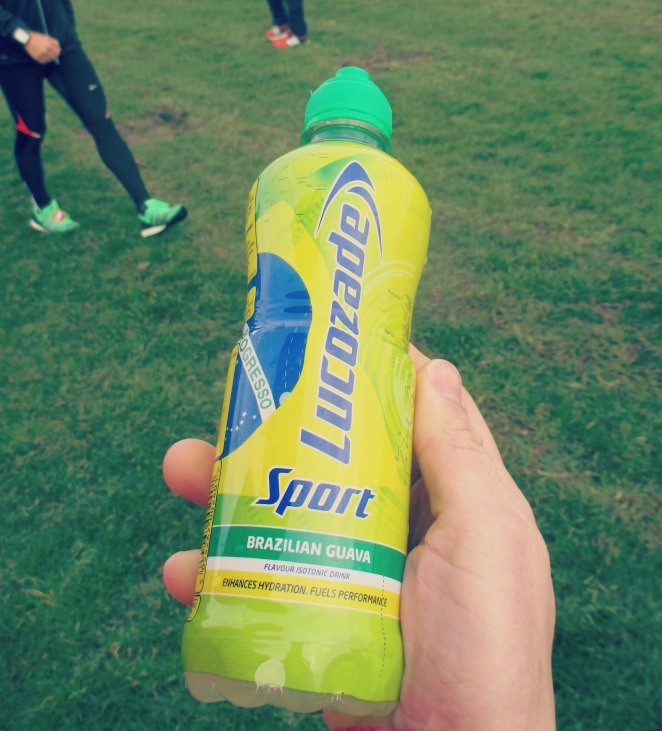 The lucozade was also served in bottles, as big as the one pictured above. The volunteers were very quick to clean up all the discarded bottles, but it still seemed so incredibly wasteful. For example, I would only take a few sips each time and then had to toss the whole thing. This would be one of my only complaints about this marathon. The London Marathon does not start until 10 am, which is pretty late. For comparison, the last marathon I did, Phoenix, started at 6:30 am! Since we were participating in the marathon via Marathon Tours, we had a lovely coach bus to take us to the start line. I think it would have been a lot more stressful and time-consuming to take the train, as the start line was pretty far away from our hotel. We heard others talking about the time it took to get to the start, so I felt grateful to have the shuttle bus. 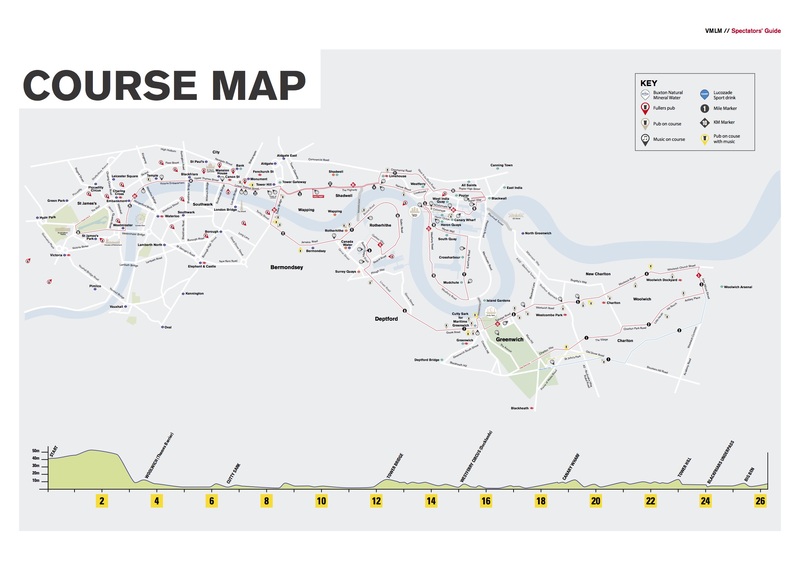 The start line for the marathon was in Greenwich Park, next to the Greenwich Observatory. The staging area was huge, with plenty of port-a-potties. In fact, there were urinals for men AND women. I really wished I would have checked out the women’s urinals, just to see what they were all about. Any one know how they work? The forecast had called for chilly temperatures and the possibility of snow (which everyone in London was freaking out about!) However, it ended up being quite nice. The temperature at the start was in the upper 40’s and by the finish, it was close to 60 degrees. We did get hailed on briefly in the middle of the race, but otherwise, there was sunshine (yes, in London!) and I actually got pretty warm during the race and even started going through some of the shower sprays that were set up on the course. These Oiselle rogas are the ones I purchased on Zulily for super cheap. They are a size 6 and they are VERY short- shorter than all my others. But I love the color so I decided the Queen would have to be okay with me showing a little extra leg for the marathon in the name of the Right Fit. I started the race with a throw-away long-sleeve and some Louva arm-sleeves, but I tossed them both a few miles in. 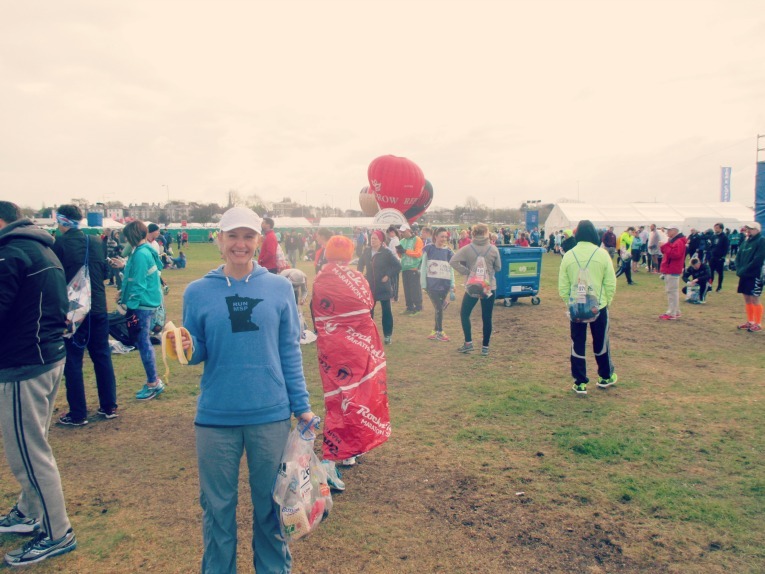 I also wore a poncho while we waited at the start line (after I checked my “kit” bag <– as the Londoners call it). The poncho helped keep me warm as it blocked the wind. Our friend Craig didn’t have his cell phone with him, but we still randomly ran into him right before we headed to our corrals. Perfect! As I mentioned in this post, we were all in the Blue starting area, but different corrals, so we had to split up around 9:45 as we headed to our respective corrals. 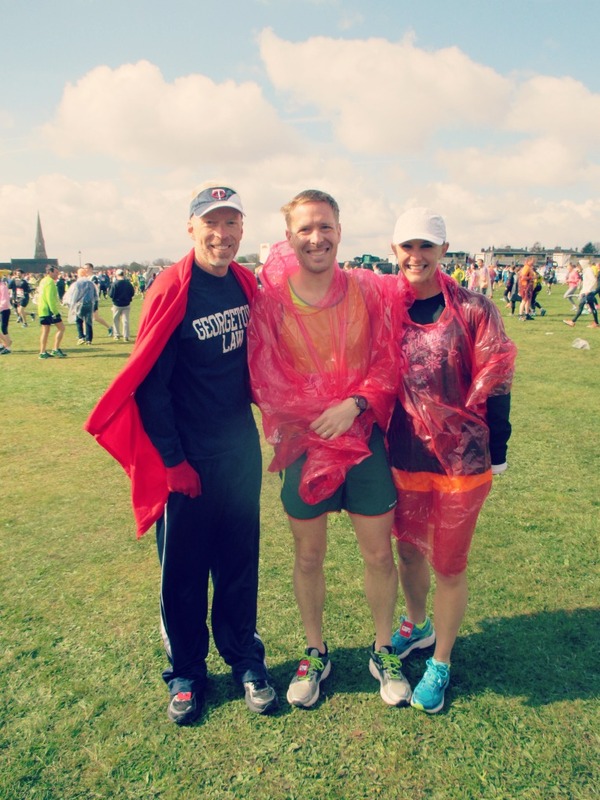 The marathon took us from Blackheath to Woolwich to Greenwich. The first few miles were actually a slight downhill. The elevation chart below makes it look pretty drastic, but if you look at the scale, it actually was pretty gradual. There were some slight rolling hills, but the course is generally flat and fast. Around the halfway point, we crossed the Tower Bridge to the Isle of Dogs. This was my favorite part of the course. 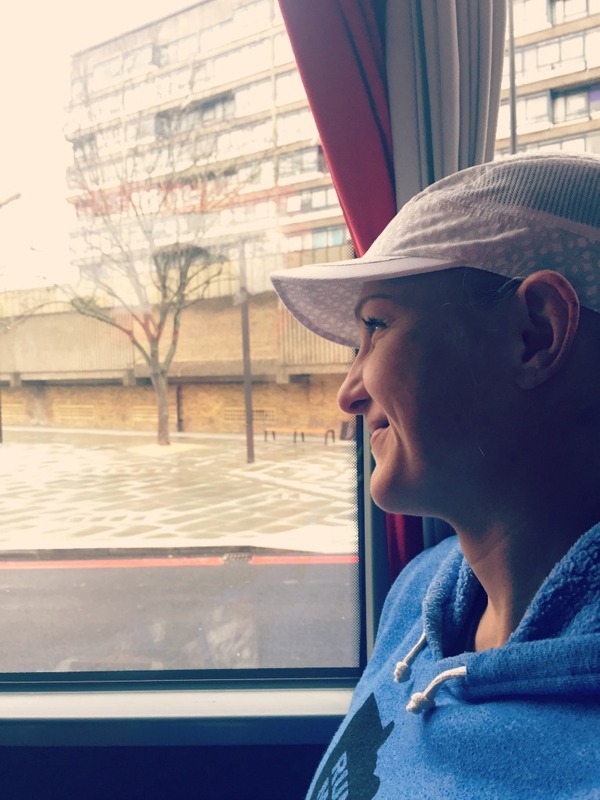 I actually got a little choked up here- the crowds were so thick and the cheering was deafening, and it was just such a cool experience to be running over the Tower Bridge in the London Marathon. The crowds throughout the entire race were pretty fantastic. The only downside is that the course never really opened up- it was always pretty crowded for me. It didn’t stress me out that much, since I wasn’t shooting for a PR. However, I do think it would have been tough if you were. Some parts of the course are incredibly congested. It wasn’t quite as bad as the Berlin Marathon, but still crowded. The home stretch was over the London Bridge to the Mall by Buckingham Palace. It was a pretty magnificent finish line, probably one of the best I have experienced (though the marathon finish line is always magnificent to see!) 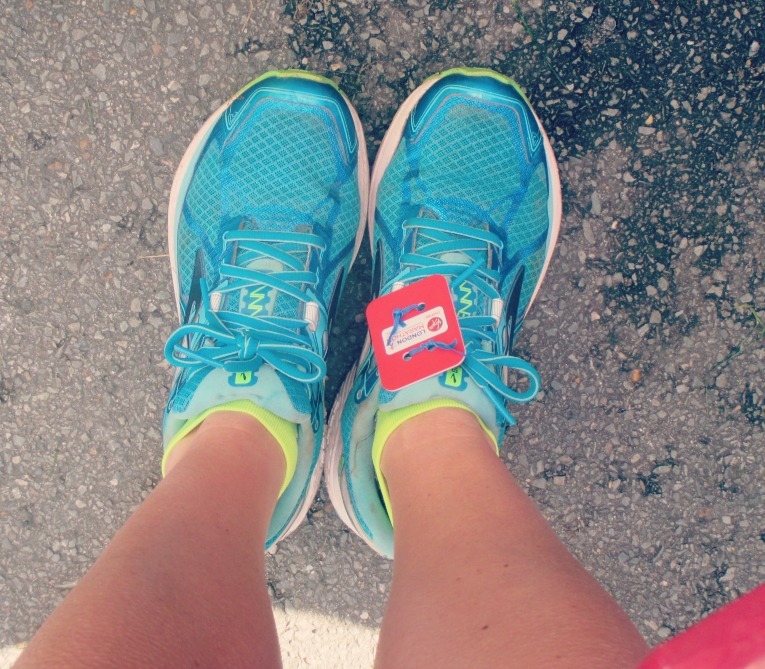 Since I had been taking it pretty easy, it felt amazing to finish strong, smiling and passing runners left and right. Eight weeks after the Phoenix Marathon, I ran 10 minutes slower at this marathon, but I was quite pleased with the time. Considering 3 of those 8 weeks, I couldn’t run due to injury, I’m happy with how easy this pace felt. I held back throughout the entire race. I didn’t pay much attention to my Garmin, but just focused on enjoying the experience. To run a 3:49:26 and feel fantastic at the end is a significant improvement for me. It shows me that I am in better shape than I was a year and a half ago when I first started working with Antonio, my coach. Back then, my PR was 3:55, and I was stuck there. Now, I am able to run a 3:49 without much effort. 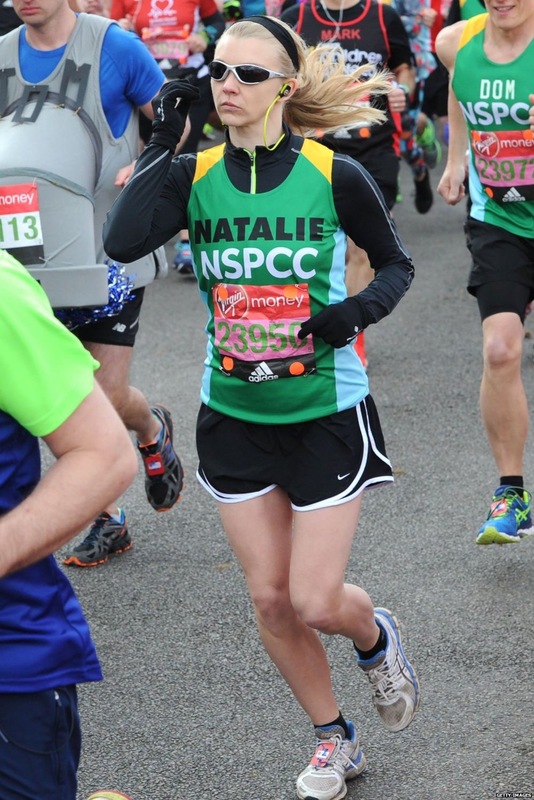 Of course, this positive personal performance definitely played into my general positive experience at the London Marathon, but I thought it was very well done and a grand time. There was a blue line on the course that marked the shortest route/tangents. Based on my extremely long Garmin distance at the Tokyo Marathon, I really focused on trying to stay near that blue line. Even so, I ended up a little long, with 26.58 miles. That shows you that the course was crowded, as I did have to swerve around other runners. Mile 1: 9:04 <– super crowded at the start but this was my only mile over 9. 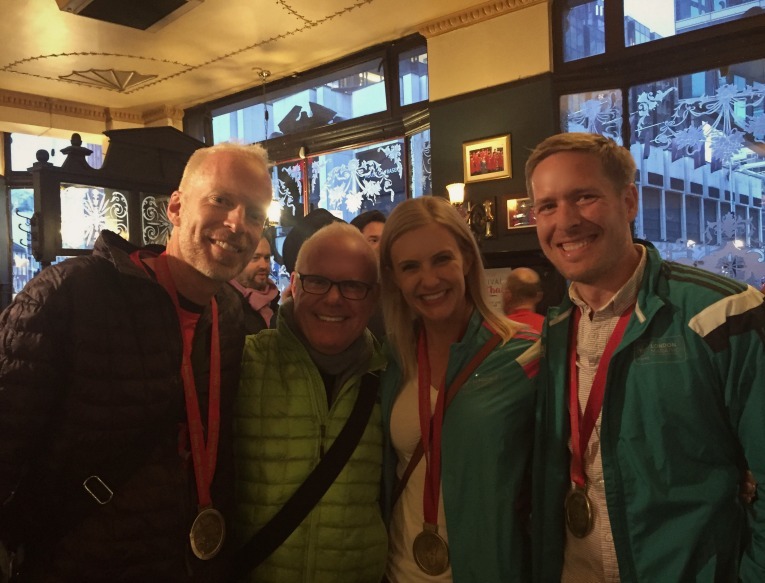 There were a handful of runners at the celebration who ran both Boston and London; similar to the Boston-to-Big-Sur challenge, I guess its popular to run both of these races, less than a week apart. Impressive. 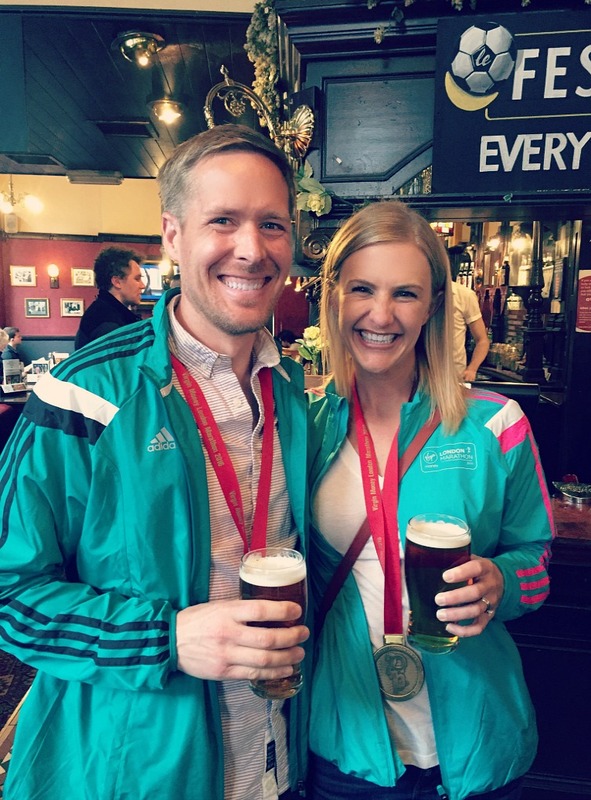 Post-London Marathon. In a pub. With a pint. 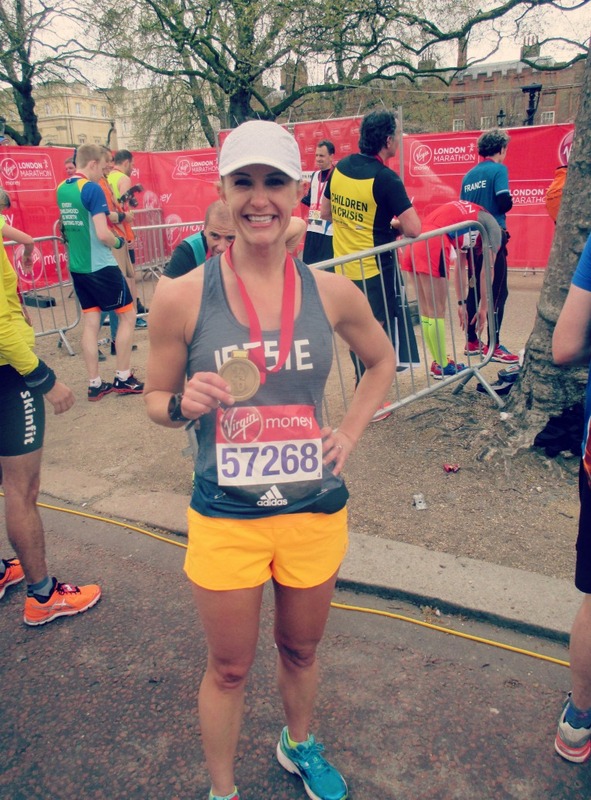 The London Marathon was a brilliant race. 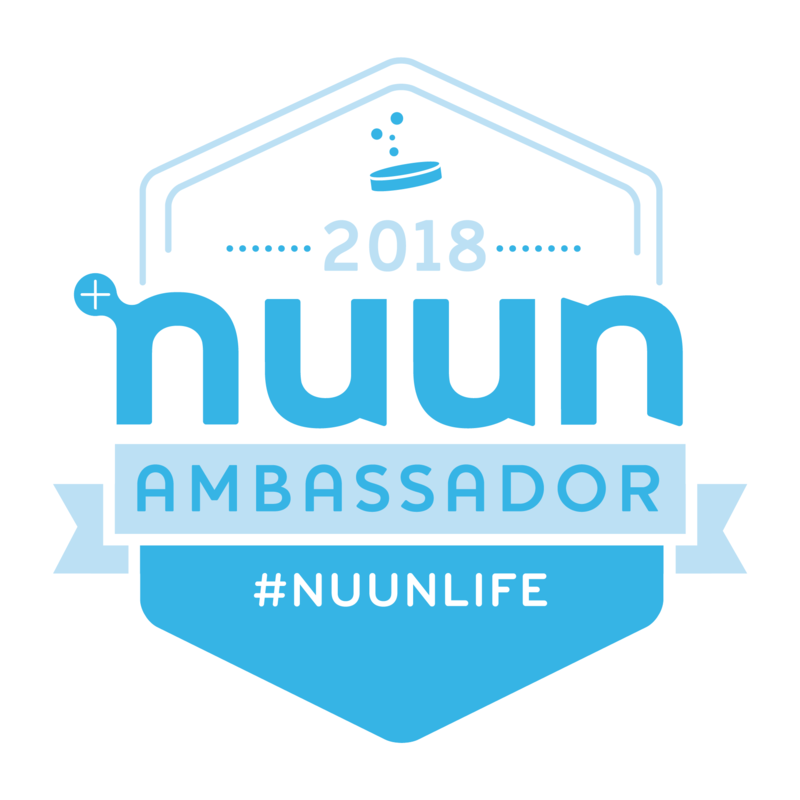 I really enjoyed it and am so glad that I was healthy enough to experience it and I definitely recommend this race to others. « Fits on the Road: We have arrived in London! I remember you saying that you were a quiet on the bus gal…I can’t help it! I normally love connecting with other runners, I guess that’s why its such an anomaly that I retreat into my shell before the race. I love this post so much! So much to be happy about! I’m glad you had so much fun and this race was able to really confirm your fitness and training since starting with Antonio. Also, those shorts!! I’ve never been brave enough to order Mac Rogas (shortest inseam Rogas!) but you look GREAT! Plus, you can’t beat that Orange Pop color! Okay, so those ARE a shorter pair of Rogas…no wonder! They are SHORT. Thank you for all your kind words Katie! Love it and all your matching with Dustin! You guys are awesome! So interesting about the “She wee!” I kind of wish I would have tried it, just to say I did. The whole urinals/separate line is definitely efficient. The Londoners had that part down very well! Our hotel didn’t have any peanut butter. We hadn’t actually looked at a grocery store though- I’m not picky on brands. Interesting about the water bottles being more common in Europe! I have never had that before, even at Tokyo or Berlin (my two other international races). Thank you so much for the kind words Allison, I hope we do get a chance to meet up in person! Congrats! Such an amazing experience!! I’d love to learn more about Generation UCAN. Have you written elsewhere about it? I am still experimenting with it so I have only briefly mentioned it- this post shares a little: http://www.therightfits.com/2016/04/weekly-recap-two-weeks-london/ I will share more! Congrats to you and DRB! I love the photo of you on the bus! Thank you Collin! DRB just keeps getting speedier! Thank you Julia and thank you for all the recommendations for Scotland- much appreciated! 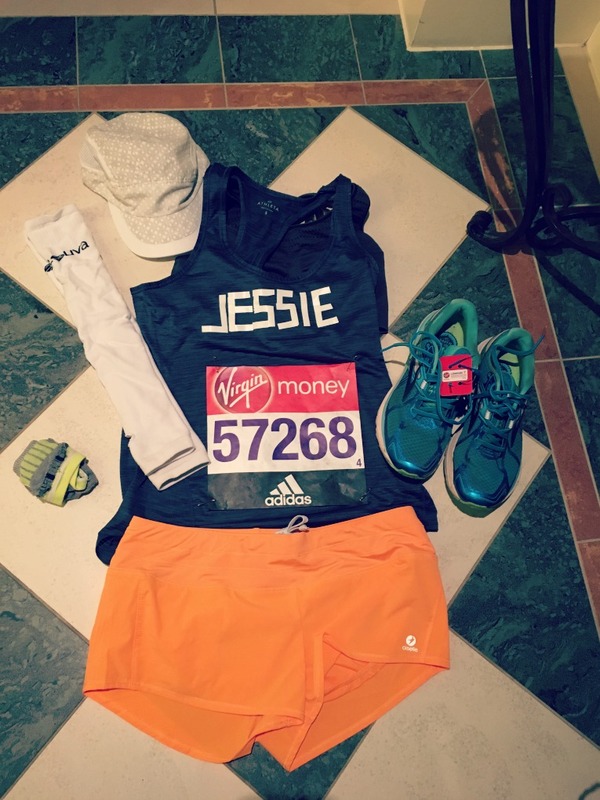 Congrats on a great marathon, Jessie. At 3:49, it appears you are pretty serious when you fun run! Most impressive! Thanks for sharing all the photos and stories so that we can live vicariously through your trips! Ah, I just love this (and dorky me teared up reading)! Congrats on your brilliant and fun race, Jessie! Your happiness shines through during the whole read 🙂 And, congrats to Dustin, too… so fast! I’m with you, too… no one talk to me right before a race! 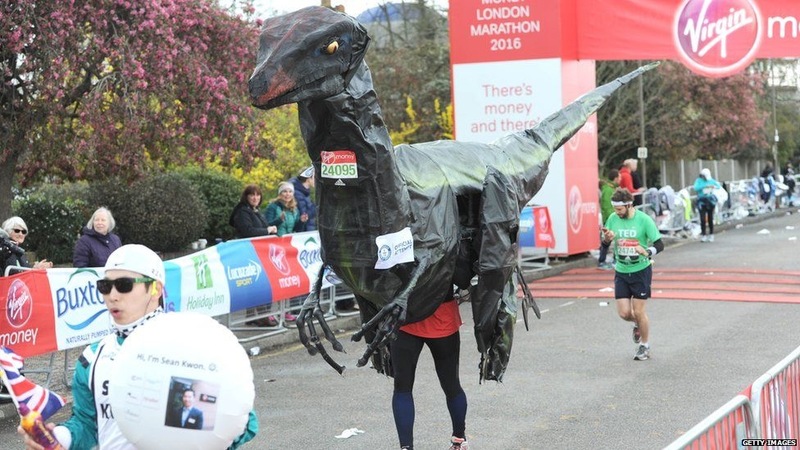 Quiet please 🙂 Also, how did people run in those costumes?! Crazy! Congrats on your finish! Sounds like a very fun race!!! You make these marathons sound so nice and breezy. 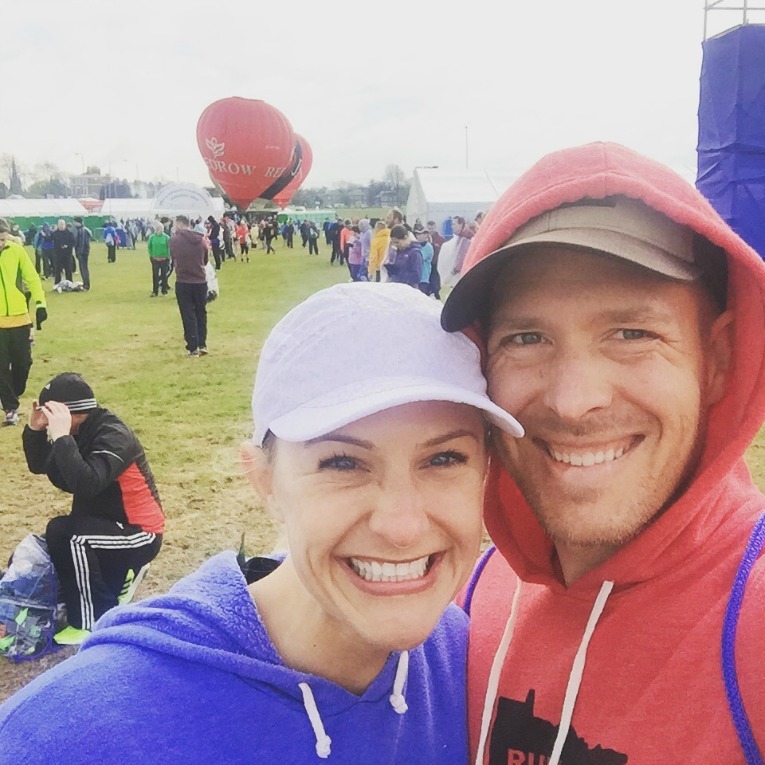 Loved reading this post after reading your Tokyo marathon post. You’re very lucky to have the opportunity to run these international races! Thank you Eri. Yes I feel very fortunate for these running experiences!